This is a good news for the Sony Ericsson mobile phone lovers. 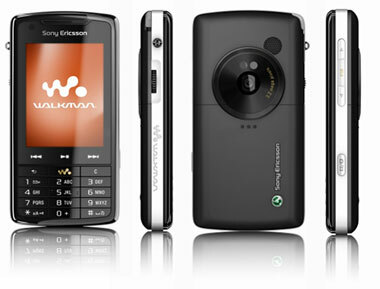 Sony Ericsson has just launched the feature-rich Sony Ericsson W910i, another extension to its Walkman range of mobile phones. Equipped with 3G HSDPA capability, the handset measures 99.5 x 50 x 12.5 mm and has got a weight of 86 grams. The highly sophisticated slider opening mechanism makes the phone a supreme expression of aesthetic sense. With this phone, Sony Ericsson has remarkably developed the viewing experience. The phone is studded with a 2.4 inch 262k colour TFT screen with a resolution of 240 x 320 pixels. Entertainment features are many and one could easily browse through functions like camera, music, gaming, web access and so on. The handset is available in two exciting colours – Sony Ericsson W910i Red and Sony Ericsson W910i Black. The phone is equipped with an integrated 2 megapixel camera and not only takes brilliant stills but also captures mesmerizing videos. With features like video streaming and picture blogging, you can easily give a new name to your thinking, to your imagination!The W910i has got a highly advanced Walkman Music Player and offers distortion-free sound output. An FM radio with RDS further enhances the musical capability of the phone. 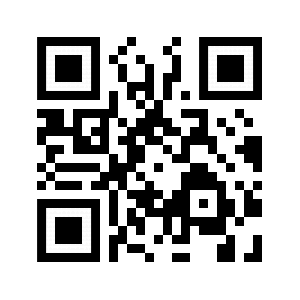 The phone works on Quad Band and offers Internet access through Access NetFront Web Browser and RSS Feeds. Rest of the features include EDGE, Bluetooth, PC Synchronisation, USB, flight mode, email support, MegaBass, TrackID, Bluetooth stereo A2DP, 40MB internal memory, Memory Stick Micro M2 support etc. Sony Ericsson is soon going to launch another W-Series phone with an impressive set of features. 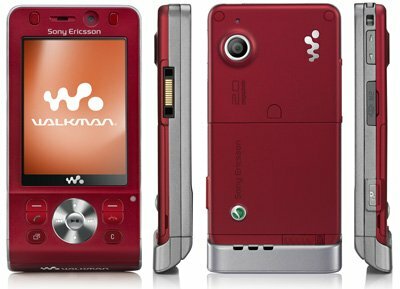 Called the W960i, it’s also a 3G phone with a built-in Walkman Music Player. The highlight of the Sony Ericsson W960i phone will be its stupendous 8GB phone memory. Equipped with a 2.6 inch 262k colour TFT screen, the phone offers a resolution of up to 240 x 320 pixels. On imaging part, the phone carries a 3.2 megapixel camera with 3 x digital zoom. Connectivity is standard through 3G, Bluetooth, WLAN and USB. The phone also carries handwriting recognition, document readers, document editors, speakerphone, sound recorder, email support, PlayNow, TrackID, MegaBass etc. The Sony Ericsson W910i has just hit the market and the W960i is yet to be released. For a better view about their performance we have to wait a bit till the W960i rolls into the market. To get some of the best deals on latest Walkman phones like Sony Ericsson W910i Red, Sony Ericsson W910i Black and Sony Ericsson W960i in UK, please visit the site.